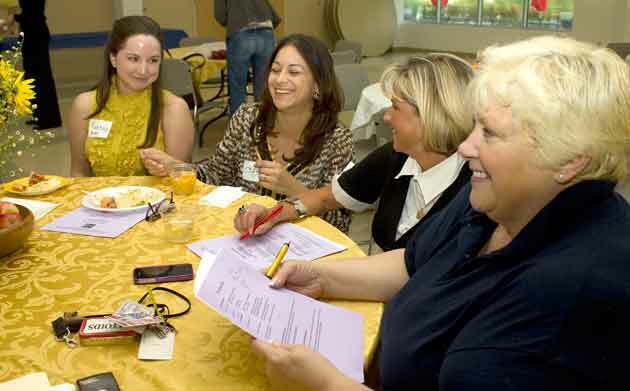 Looking to grow membership, area service clubs continue to connect good people with good causes – and with each other. Service club: a voluntary, non-profit organization whose members meet regularly to perform charitable works, either by direct, hands-on efforts or by raising money for other organizations. Southern Wisconsin and northern Illinois are fortunate to have service clubs supporting most every cause you can think of, with a reach that spans the globe. The Lions Club works to eradicate blindness. The Kiwanis Club helps children, here and around the world. The Rotary Club works to stamp out polio. Many service clubs got their start as social clubs for business networking, but quickly evolved into organizations devoted to helping others. Membership was strongest prior to 1960, when business was more local, more people lived and worked in the same community, and options for engaging with others were fewer. Today, however, many younger adults are rediscovering the joy of connecting face-to-face with community members and accomplishing community projects through teamwork. “It’s fulfilling,” says Kara Kelly, Lions Club zone coordinator. “I would hate to see this community without service clubs. We always take for granted that someone else will do it.” For members like Kelly, community service is a must, no matter how hectic life gets. In an effort to attract new recruits and reverse declining numbers, service clubs are adjusting to today’s busy lifestyles. The nation’s three largest – Lions Clubs International, Rotary International and Kiwanis International – are reducing attendance requirements, from once a week to once or twice a month. There are a variety of clubs to choose from. While some still meet over traditional lunches or pancake breakfasts, others conduct business online or after work at a local pub, to accommodate busy schedules. Here’s a sampling of area clubs making a difference in their communities. John Henderson was just 23 when he joined the Rotary Club of Elkhorn, Wis. Although his father and grandfather had been involved in Kiwanis for many years, he decided to break tradition. A charter member, Henderson has served his local Rotary Club for the past 42 years and is in his second term as president. In his career, Henderson is senior vice president of corporate solutions at NAI Global, an independent network of real estate firms. 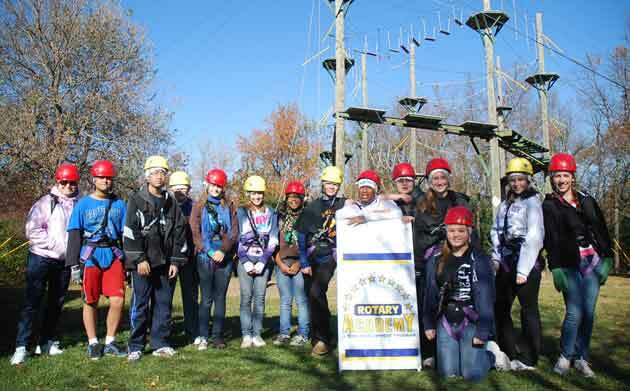 Eighth graders at Rockford’s Rotary Academy build their leadership skills through high-ropes courses and community service projects. During Henderson’s time, the Elkhorn Rotary has raised money for high school band uniforms, helped to build a soccer complex and assisted a food pantry. Henderson and his family are involved with the Rotary Youth Exchange, a program that gives students the opportunity to attend school in a different country and live with a host Rotary family. The Hendersons are hosting their fifth student, a young man from Turkey. In 1905, the first Rotary Club was established by a Chicago attorney named Paul Harris. Its name sprang from the club’s habit of rotating meetings among members’ offices. By 1921, clubs had formed on six continents, so the organization adopted the Rotary International name. Today, Rotary has 1.2 million members in 30,000 clubs worldwide. Chartered in 1916, the Rockford Rotary Club is the oldest service club in the city, and more than 1,200 people are members of Rotary clubs throughout northern Illinois. The Rockford chapter admitted its first female member in 1988; the first female president was installed 11 years later. Rotary’s focus areas are peace and conflict resolution; disease prevention and treatment; water and sanitation; maternal and child health; basic education and literacy; and economic and community development. Rotary raises money for a variety of causes, both local and global, from supplying books to area first-graders, to administering polio vaccines in Third World countries. Money earned from the Rockford Rotary Charitable Association funds projects throughout the year. For the past nine years, the Rockford Rotary Club has partnered with Rockford College, Rockford Public School District 205 and the YMCA of Rock River Valley, to form the Rotary Academy Program, the club’s signature project. It began in 2002 and involves 220 eighth graders in Rockford’s seven public middle schools. The Rockford Rotary is the only club to host such a program. 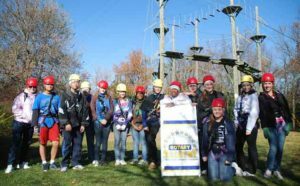 Designed to develop students’ leadership skills, by providing hands-on opportunities throughout the school year, the program includes outdoor rope climbing at Camp Winnebago; an etiquette class; a community service project; a tour of Rockford College; and a year-end dinner celebration with Rotary members. The Junior League of Rockford Inc. (JLR), was founded in 1930, by 13 women who saw the need for trained volunteers to help with social, economic, educational, cultural and civil conditions in Rockford. The group has taken on various projects over the years, helping to establish such community icons as the Discovery Center Museum, Stepping Stones, Youth Services Network and Ken-Rock Community Center. In the 1940s, members donated time to supporting the World War II home front, by offering classes about surgical dressing and nursing aid; helping with food, fuel and oil rationing; volunteering as clerks in civil and defense offices; selling war stamps and bonds; and working as hostesses at the local USO Center. Junior League of Rockford members Kristina Reuber, Luz Ramirez, Lisa Pass and Pat Cromwell enjoy working together on a project. Today, the JLR is a member of an international organization, the Association of Junior Leagues International Inc., comprised of more than 155,000 women in 292 Junior Leagues in the United States, Canada, Mexico and England. There are more than 200 active and sustaining members in the local chapter, which holds nine meetings and several social events annually. Each member must serve on at least one of nine committees. In 2007, JLR collaborated with the City of Rockford Mayor’s Office and Rockford Public School District 205 to develop a program called the RAISE Project, at Jefferson High School. Its aim is to increase access to post-high school education for financially disadvantaged and underrepresented students. That program was turned over to Big Brothers Big Sisters in June. The club’s current project is Girls On Their Way Leadership Mentoring Program. Through 2012, JLR will host four retreats per year for girls ages 9 to 13, focusing on leadership training, voluntarism, creativity, inspiration, self-esteem and confidence-building. Miller says JLR works hard to prepare new members to meet the expectations of the organization. In fact, new members spend their first three months being educated about the Rockford community and trained in voluntarism. The organization works to recruit 15 to 25 new members each year. “Our members care about the community,” Miller says. “It’s a very dynamic organization made up of diverse women. Lions Clubs International (LCI) is the largest service club organization in the world, with more than 46,000 clubs and 1.35 million members in 200 countries. Business leader Melvin Jones established the Lions Club in Chicago in 1917. 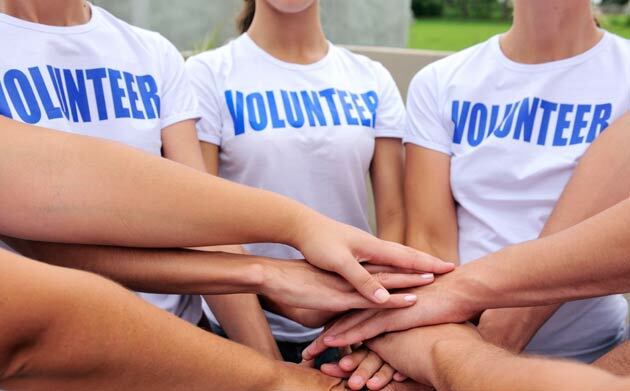 Its mission: to empower volunteers to serve their communities, meet humanitarian needs, encourage peace and promote international understanding, through Lions clubs worldwide. 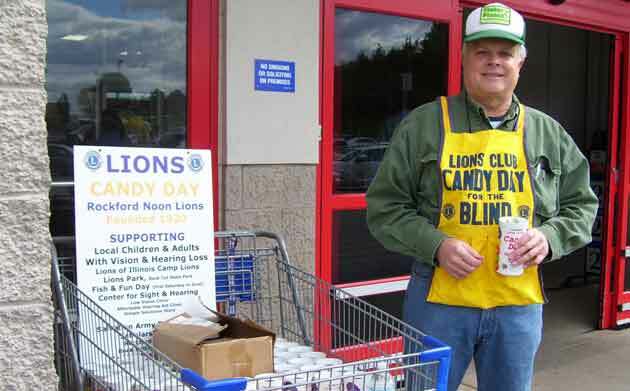 John Bendixen volunteers to work the Rockford Lion’s Candy Day sale. In 1925, the Lions were challenged by Helen Keller to become the “knights of the blind and deaf,” and they took up the cause of vision- and hearing-impaired individuals. Clubs work on environmental projects, build homes for the disabled, support diabetes education, conduct hearing programs and, through their foundation, provide disaster relief around the world. In northern Illinois, there are 52 clubs, with more than 1,900 members in the Lions District 1D. There are clubs that meet in restaurants, community centers and city halls at various times of day and night. Among Rockford-area chapters’ many contributions over the years: building and financing the Sinnissippi Band Shell in 1950; hosting the first Rose Day to raise money for the blind; starting an eyeglass program in 1958 for needy children in Rockford schools; and helping to open the Center for Sight & Hearing in 1962. Today, that center is located at 8038 MacIntosh Lane, Rockford, and it serves more than 20 counties from the Milwaukee/Chicago suburbs to the Mississippi River. Local LCI members also ring bells for the Salvation Army in the holiday season, host Candy Day, sell roses to benefit the Center for Sight & Hearing and host the Casino Night fundraiser. The 11 area clubs sold more 6,700 roses last year and the Noon Club raised $14,000 alone. LCI supports disaster relief both locally and abroad, helping victims of floods, earthquakes and other natural disasters. This year, the international president has challenged Lions around the world to plant 1 million trees. The local club also provides annual scholarships to sight- or hearing-impaired students at Rockford College, Rock Valley College and Rockford Career College. A popular Lions Club outing is the annual Fish ‘n’ Fun event held at Rock Cut State Park. More than 500 disabled adults and children fish, play games and ride in horse-drawn wagons. Kelly is the zone coordinator for District 1D, which covers clubs from Belvidere to East Dubuque. In her career, she works as manager of public and professional education for the Illinois Eye-Bank, in Chicago and Bloomington. Kelly became involved with the Lions Club 12 years ago because of its connection to her job. In 2005, Herb Klunk moved from Elgin to Rockford, after retiring from a 28-year career with the Illinois Department of Corrections. He was looking for something to do, when a neighbor invited him to a Kiwanis meeting. 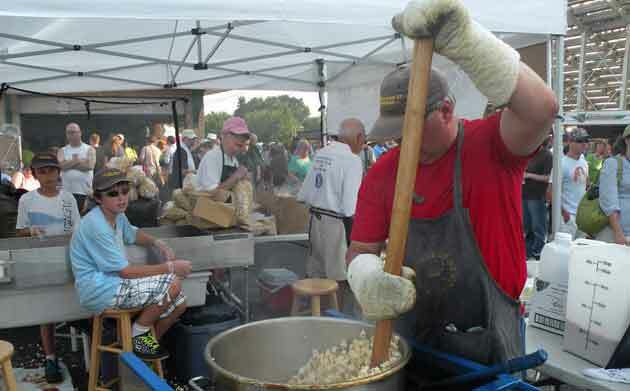 Kiwanis members cook kettle corn for a fundraiser that supports local service projects and education initiatives. Kiwanis International is a global organization of members committed to the motto, “Serving the Children of the World.” The club developed in 1914, out of a conversation between two Detroit businessmen who wanted to assemble a fraternal organization for professionals. The name “Kiwanis” came from an American Indian expression, translated “We build.” In 1919, Kiwanis adopted a service-focused mission. In 1988, the fraternal organization changed its rules and began accepting women. Kiwanis has nearly 600,000 members in 8,000 clubs in 80 nations, including 7,000 youth service clubs with nearly 320,000 members. The clubs raise more than $107 million each year. Kiwanis clubs sponsor nearly 150,000 annual service projects, such as working with homeless shelters, building playgrounds and feeding the hungry. Last year, Kiwanis International joined with the World Health Organization to launch Project Eliminate, a worldwide health initiative dedicated to wiping out maternal and neonatal tetanus, which kills more than 100,000 babies each year. Locally, the Kiwanis started in 1917, in downtown Rockford, where many members worked. “They walked over to the Faust Hotel for meetings, and then headed back to work,” Klunk says. The downtown club also met at Veterans Memorial Hall before moving meetings to the Stockholm Inn restaurant. Kiwanis has about 237 clubs in the local Division 12 chapter, including four in the Rockford area. Locally, Kiwanis clubs are well known for their fundraisers. For 50 years, they hosted an annual Pancake Day. These days, their major fundraiser is selling kettle corn at area fairs. Alpine Kiwanis hosts the popular Brat Days, to raise funds for area youth scholarships and for national disaster relief. Other recent projects include tutoring at local schools, picking up trash on roadways, painting a day care center and cleaning up Magic Waters. The Kiwanis of Rockford club has an endowment fund that provides $60,000 annually to a variety of organizations. Past recipients have included the Discovery Center, Rockford Symphony Orchestra, the Boys & Girls Clubs, Nicholas Conservatory & Gardens, Rock River Valley Pantry and MELD. Klunk says the downtown club had 200 members in its heyday. In order to get back to that number, Kiwanis clubs are working on a division-wide recruiting campaign that includes the use of social media, aimed at younger members. There are 2,100 Cosmo members in 70 clubs across the United States and Canada. Annually, they raise more than $950,000. Jacqui Frederick, Ed Winter and Lisa Hyser are all smiles during the corn roast at the Boone County Fair. Cosmopolitan International is divided into geographical federations. Three local clubs are in the Mid-States Federation: Rockford, which happens to be all-male; the Belvidere club, with men and women; and the Rockford Women’s Cosmopolitan Club, formed just last year. The Rockford club supports many local organizations, through an annual golf outing, a dinner and a poinsettia sale. The largest beneficiary is Crusader Community Health, which has received more than $350,000 since 1994. Four years ago, the Rockford Cosmopolitan Charities funded the Cosmopolitan Diabetes Patient Learning and Resource Center at Crusader’s West State Street location. In addition, Rockford Cosmopolitan Charities granted $22,500 this year to 10 nonprofits, including the Rock River Valley Pantry, Center for Sight & Hearing, RAMP and Midway Village Museum. The Rockford Cosmo Club partners every year with the Community Foundation of Northern Illinois, to award the Charles G. Uram Lifetime Service Award at the foundation’s annual dinner. The late Uram was a 40-year member of the Cosmopolitan Club who raised more than $6 million for local organizations. 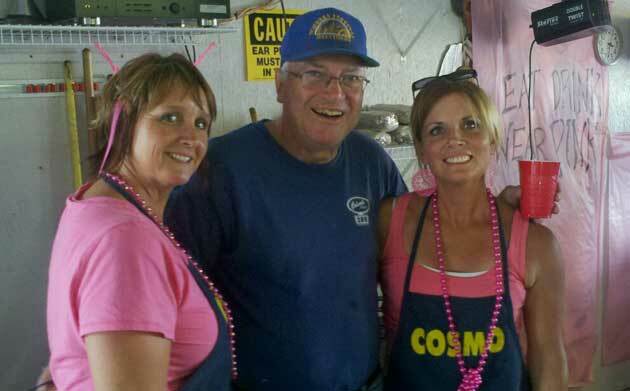 In Boone County, Tricia Smith, an attorney, is president of the Cosmo Club of Belvidere. A 14-year member, Smith was introduced to the organization by another attorney, and soon became the club’s first female member. Each year, the 45-member Belvidere Cosmo Club hosts a golf playday that raises $20,000 for area high school student scholarships. The club also supports other local charities, including the Belvidere Family YMCA, the Keen Age Center and the Boone County Historical Society. This entry was posted on Friday, October 14th, 2011 at 12:00 pm	and is filed under Northwest Business Magazine, Top Posts. You can follow any responses to this entry through the RSS 2.0 feed. Both comments and pings are currently closed.